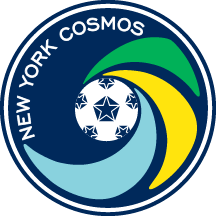 New York Cosmos B needed extra time, but they got the job done beating Chattanooga FC 3-2 in the National Premier Soccer League Championship. 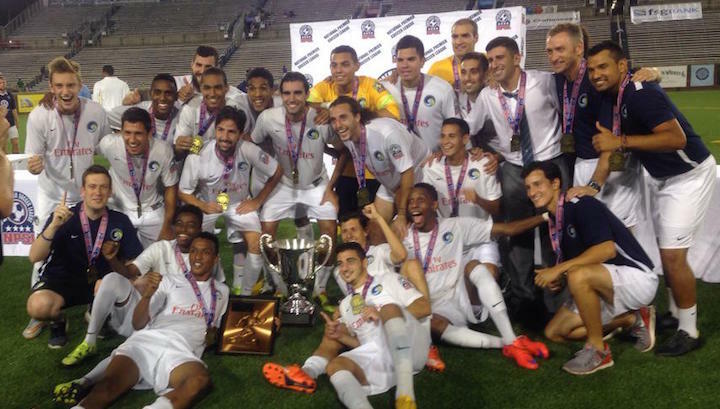 CHATTANOOGA, TENN. -- (August 8, 2015) New York Cosmos B won the NPSL Title in thrilling fashion on Saturday, beating hosts Chattanooga 3-2 after extra time. Ibrahim Diaby scored twice and Julian Stahler got what would prove to be the winner as the Cosmos triumphed in front of a league-record crowd of 18,227 in Tennessee. “It was a really tough game,” said head coach Alecko Eskandarian. “Their crowd gave them so much energy and we showed a lot of resilience. It wasn't pretty at times but our guys never stopped believing and they deserved the title. The coach was full of praise for two-goal hero Diaby, who had made four starts and four substitute appearances before this game, scoring one goal. Kyle Zobeck had to make a couple of saves midway through the first half, with the visitors failing to get much going in the final third until the interval approached. Jenison shot over from 20 yards, then Miguel Herlein's shot was saved by Greg Hartley. The deadlock was broken just a minute before half time, when Hagop Chirishian's free kick was saved and Diaby put away the loose ball. Samuel Goni had a great chance to level in the 58th minute, his shot going across goal and hitting the far post, and Chris Ochieng then fired wide from an equally inviting position. The Cosmos could have doubled their lead in the 67th minute, when Jenison whipped in a teasing cross, which was headed wide at the back post by Chirishian. They were made to pay within a minute, when they failed to clear their lines and Ochieng slotted under Zobeck. In the last 10 minutes both sides had headed chances to take the game. Goni nodded Zeca's free kick wide, then when Hartley made a save the ball bounced up for substitute Stahler who also headed past the post. The Cosmos didn't have to wait long to regain their lead in extra time though, Diaby blasting a superb arcing shot into the top corner from 20 yards within 25 seconds of the restart. They topped and tailed that 15-minute period with goals, Stahler tapping in from Uwem Etuk's assist on a swift breakaway move for his sixth of the season. Chattanooga threw everything at the Cosmos in the second half of extra time, hitting the post with a header and pulling one back with five minutes to go when Goni found space in a crowded box. The same player then ran clear in stoppage time, but Zobeck made a crucial stop to make sure the trophy was bound for New York. Chattanooga, who were also runners up last season, provided a stern test for the Cosmos, who capped an undefeated debut season in the perfect manner.